We recently asked for a Toyota Camry SE or XSE to come by and try out our license plate bracket and Andrew answered the call. We saw the new Toyota Camry as a potential gamechanger in its segment with its new facelifted design and its usual fuel efficiency. 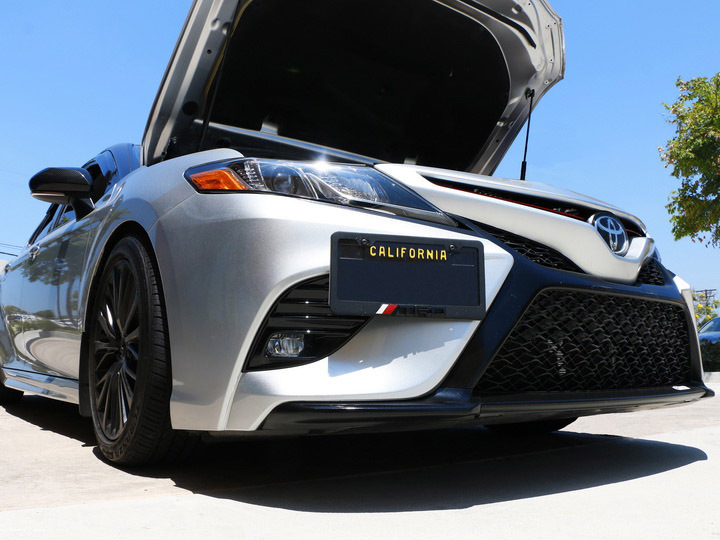 Andrew rolled in with his XSE and surprised us with the work he’s already done; carbon fiber trims and smoked out bumper reflectors, letters and logo make his Camry looking sporty. What better way to make it even sportier than offsetting his license plate? 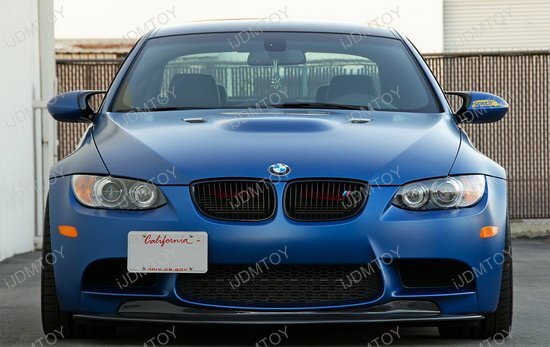 Car fans all around seem to agree on one thing: their cars look much better without the front license plate right in the middle of the bumper. Many people even opt to remove the entire license plate completely. While the lack of the front plate in the middle of the bumper looks great, it does draw unwanted police attention. When you add that with a loud exhaust and a bagged ride, the police are practically eating their donuts next to your driveway. Fortunately, there’s a quick alternative to the front plate, and that’s by relocating it to the side via the tow hole. 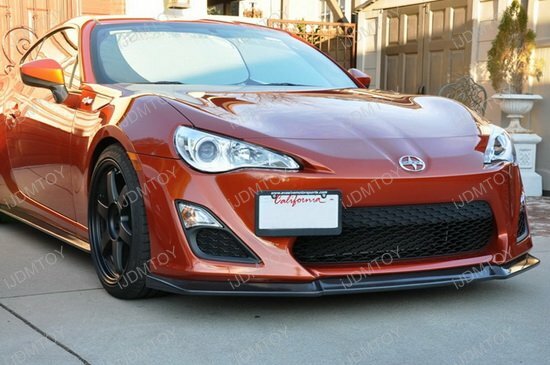 You get to keep your front plates and still get a sporty racing look. This license plate tow hook mounting bracket uses the tow hole to screw in the mounting stick and plate to the side of your bumper without having to drill or modify your bumper in any way. This license plate tow hook mounting adapter is available for a ton of cars, including BMW, Mercedes Benz, Audi, Lexus, Toyota, Scion, Subaru, Nissan, and more. If you don’t see a set available for your car, you just need to check your bumper to see if there’s a tow hole. If there is, you can bet that there will be one available soon.